This week’s Commitment of Traders Report shows the Professionals have gone Short again – to levels not seen since March 2002. The Professionals increased their net Short positions from -8.7% to -16.3% of total open interest. We have not seen this level of Short interest since March 2002 – four months prior to the eventual low reached in July 2002. The SP (large contract) Professionals are still more bearish than the ES (mini contract) Professionals, with the red line in the chart above still negative (-17.6%). Back testing shows the SP Professionals are a more reliable indicator of market direction. The Commitment of Traders Oscillator shot to +125 this week and is now over-bought. Since we crossed the zero line, we can identify the Low of the last down swing – four weeks ago and marked on the chart above with a blue dot. This week’s change in Professional sentiment was significant – not just in the level reached, but also the difference from the previous week. I cannot rule out a change in the composition of the Professionals – we have seen similar jumps, both up and down, in the data in the past. For this reason, I tend to rely more heavily on the Oscillator reading, rather than the "raw" Commitment of Traders percentage reading. However, I would bear in mind this Commitment of Traders data over the next week or two. Market commentators appear to be universally bullish and convinced the bottom is in. I don’t know whether that is the case – but the market tends to do the opposite of what everyone thinks. 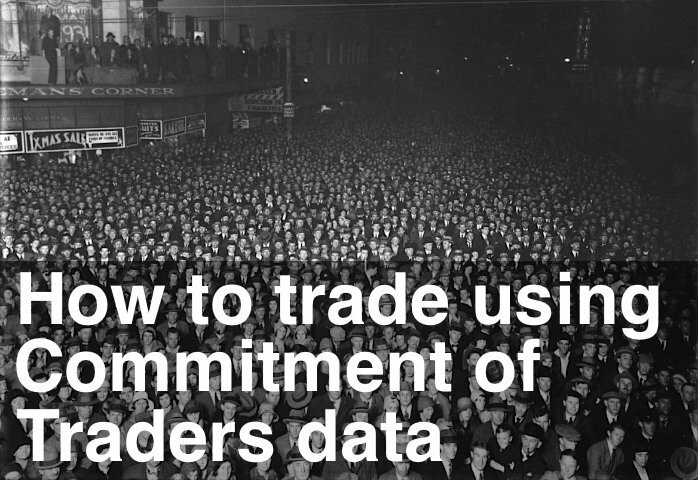 Only time will tell whether this week’s Commitment of Traders data was significant and insightful.